Stevie Wonder was born on May 13, 1950 in Saginaw, Michigan. Wonder, born Stevland Hardaway Judkins, was a child prodigy who excelled at a variety of instruments from an early age including piano, harmonica, drums, and bass. He was discovered when Ronnie White (of The Miracles) was persuaded by his brother to visit a friend’s house to check out Stevie. At only 11 years old, Berry Gordy signed him to Motown’s Tamla label! His stage name: ”Little Stevie Wonder”. 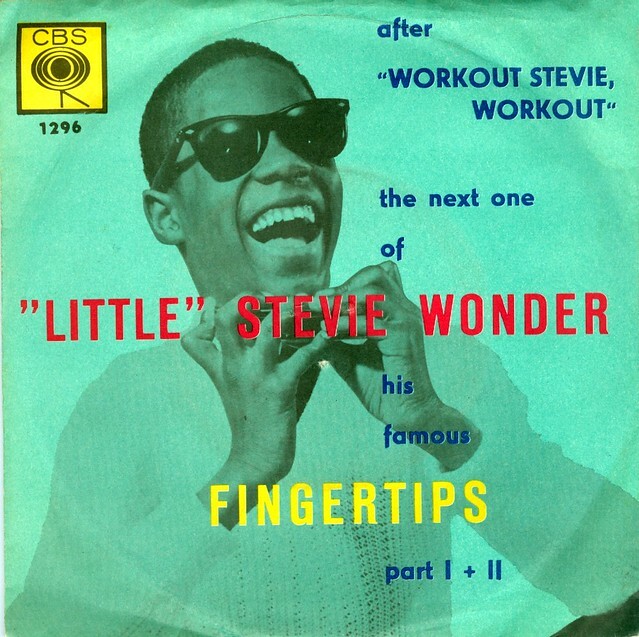 By age 13, he had his first major hit with “Fingertips”. We love singing “Sir Duke” in our music classes! Wonder’s 1977 hit is a tribute to Jazz musician, band leader, and composer Duke Ellington. His lyrics make reference to other Jazz greats including Count Basie, Glenn Miller, Louis Armstrong, and Ella Fitzgerald. This was one of my favorite songs to sing when I was young. Teach your kids the chorus! Stevie Wonder’s 1985 hit “Part-Time Lover” was so popular that it reached the top of 4 Billboard charts (Hot 100, R&B, Dance, and Adult Contemporary) simultaneously. He was the first artist to do so! We love this live performance of “Superstition” on a 1972 episode of “Sesame Street”!